A support service for people facing desperate situations in Southsea has been gifted them with a cheque for £1,000. Colleagues at Southern Co-op’s new funeralcare branch in Albert Road, Southsea, celebrated its opening last Wednesday [14th November] and announced their new charity partner, The LifeHouse. The charity is a kitchen, resource and support centre that serves hot food in Albert Road, Southsea, with an aim to show ‘there is a way out’ and ensure everyone has the opportunity to improve their situation through the variety of care and services on offer. Mike Morell, Chair of Trustees at The LifeHouse, in Southsea, said: “We are so glad to partner with the Co-operative Funeralcare as their chosen charity partner of the year as they are such a close neighbour and an organisation with an unparalleled reputation. “Southern Co-op has demonstrated such care for those on the edges of community over the years and have quietly but consistently backed projects that genuinely benefit the disadvantaged. The LifeHouse will now be the funeral home’s partner for one year as part of Southern Co-op’s ‘Love Your Neighbourhood’ scheme which addresses four key social themes – promoting ‘Greener’, ‘Healthier’, ‘Safer’, and ‘More Inclusive’ neighbourhoods. 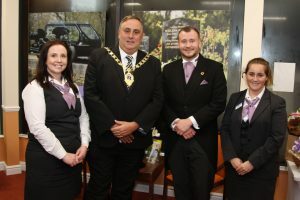 Portsmouth’s Deputy Lord Mayor David Fuller also attended the celebrations at the new funeral home where guests were able to tackle the taboo of funeral planning. 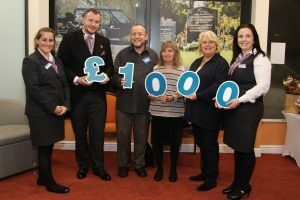 Councillor David Fuller, Deputy Lord Mayor, said: “I would like to thank the funeral home colleagues for being such professionals and providing an after care which is a credit to Southern Co-op. “They have a friendly approach with a smiley face. It is a difficult professional and the warmth offered is great. Southsea’s newest funeral home is part of Southern Co-op – a co-operative society owned by its members who have a say in shaping the organisation’s future and also benefit from a share of the profits. For more information on the Southsea funeral home, click here.